These are a few thoughts about Easter and other spiritual traditions. If they make no sense to you, not to worry, they are only thoughts. A few weeks ago we celebrated Easter. Interestingly, many of the world’s traditional calendars celebrate the New Year during the month of April – in India, Nepal, Sri Lanka, Myanmar, other Southeast Asian countries, and in Israel (where it is the first of four New Years.) April is a time of renewal and regeneration. 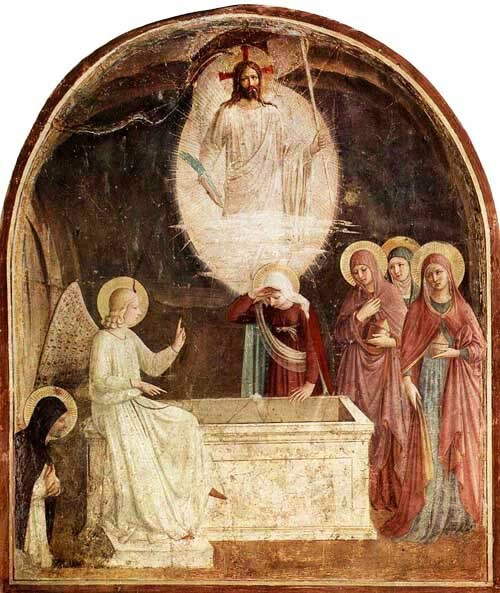 At this time, Jesus Christ transcended death and rose to heaven. For two thousand years people have questioned whether or not this was meant to be a literal event. This may not be the correct question. From the vantage point of heaven, or a mystical reality, the physical world does not have an independent reality. One might say that after Christ rose from the dead, the physical world ended, or it never was. To the Gnostics, a sect thought to be heretical, existing around the time of Christ and continuing to exist, despite intense persecution, in various forms throughout the centuries, Christ always existed only on a spiritual plane, never on a physical plane, and therefore could not have been crucified. From this point of view, the crucifixion was an illusion. In the Hindu Vedanta tradition, the Sanskrit word “Maya” means illusion. It doesn’t necessarily mean non-existence. Applied to the world, it means delusion, or incorrect perception. An example often used is that if you see a snake on the ground and you are afraid, then at dawn, you realize that it was only a rope and not a snake at all, you simply misunderstood what you saw. That is the power of Maya, illusion. We take the physical world to be real, but higher levels of reality are more truly real in an ultimate sense. Indeed, some people take the physical, material universe to be the only reality, discounting any spiritual levels at all. Naturally, if one is one of those people, one dismisses an analogy like the one about the snake as meaningless. To reach a mystical level of being, as was done by seers, saints, and rishis, in times of extreme antiquity and more recent times too, one must transcend the bipolar world of joy and pain. Both joy and suffering are felt as equal; one rises above the duality of seeking one and resisting the other. Rising above the experience of joy isn’t really much of a challenge since joy is not unpleasant, so it isn’t a problem. That leaves the challenge of rising above pain. One finds the mystical world only by having flown on the wings of pain. There is no other way to rise beyond the world. This is the esoteric message of the death and resurrection of Christ, and the esoteric truth of many other religions. The world of hell, which is the physical world, is the stepping stone to the journey of rising beyond it – into the pure reality of the mystical world. For animals, their suffering is profound and intense. They are angels and are innocent. For humans, suffering is complicated, beset with mental tortures which only humans can inflict on themselves and each other. Seeking suffering is a mistake, but it is an aspect of the world we live in which finds us. 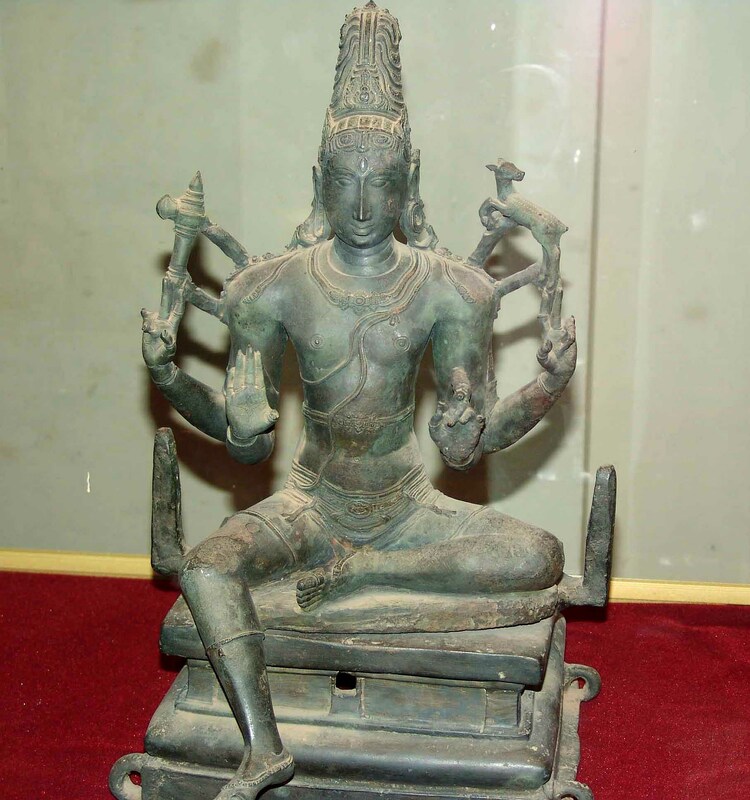 Dakshinamurthy or Jnana Dakshinamurti is a form of Shiva who is the guru, the teacher. His wisdom is ultimate truth and awareness, beyond the world; flashing like lightning through the clouds, this wisdom comes from beyond. It is irrefutable, mystical insight. In Hindu temples, Dakshinamurti faces south, because south is the direction of death, of change, of transcendence. He sits under a banyan tree, with his right foot on a demon, who is ignorance. Students surround him, and sometimes also wild animals, all listening attentively. Shiva destroys ignorance and the entire world of ignorance; transcending the world of duality and illusion in this way, he unveils the mystical light of heaven, the true world beyond the clouds.